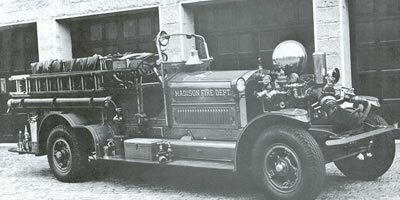 This Ahrens-Fox, model P-4, was originally purchased and given to the Madison Fire Department by Geraldine Rockefeller Dodge in 1920 after a lightening strike caused a fire that destroyed several barns on the Dodge estate. 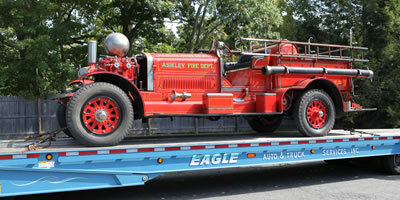 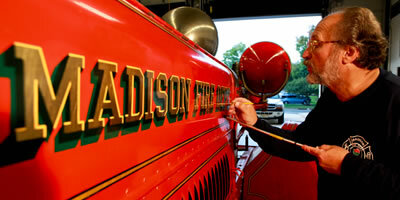 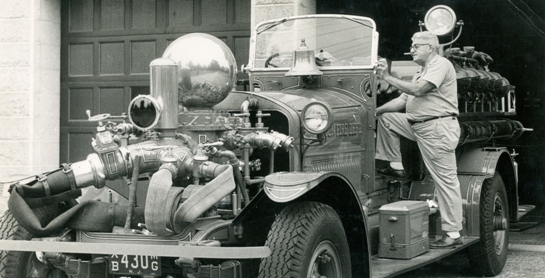 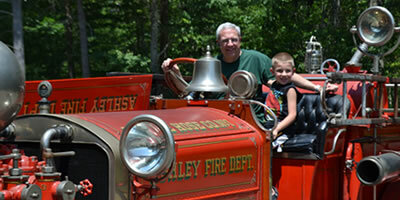 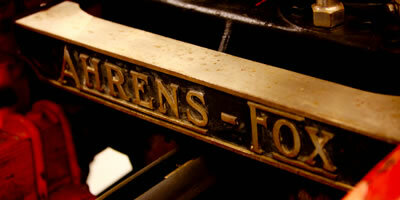 Madison's fire engine is 1 of 3 remaining Ahrens-Fox P-4 models. 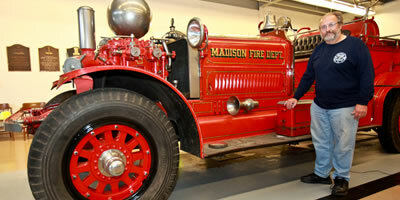 Geraldine is now permanently home in Madison, New Jersey. 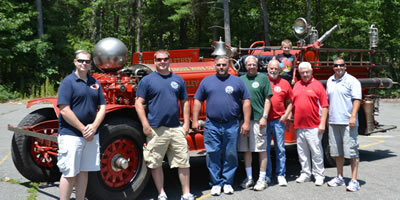 THANK YOU to all for your generous donations! 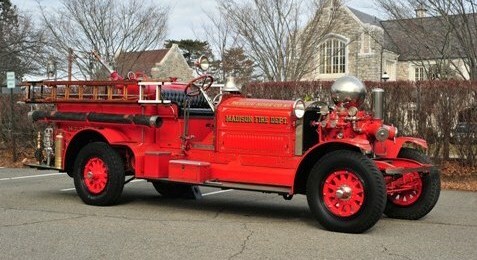 The Friends of Geraldine are still raising money to maintain & preserve her for future generations. 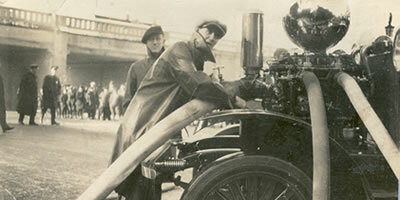 Mr. & Mrs. W. Meyer Jr.